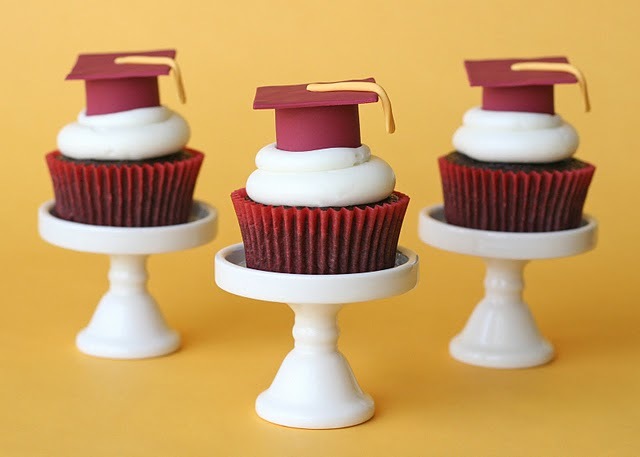 These cool graduation cupcakes are by blogger Glorious Treats, where you can find out how to make them! 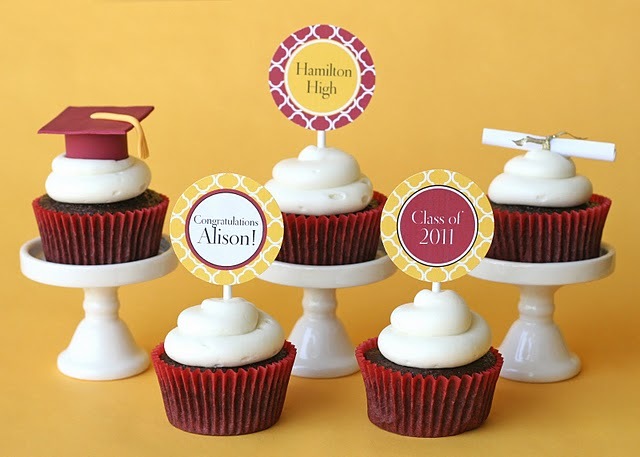 For this set of Graduation cupcakes, I made a few special fondant Graduation Hat Toppers, topped some cupcakes with printable toppers from The TomKat Studio, and dressed up a few cupcakes with simple paper "diplomas". The diplomas were made by simple rolling a piece of white paper, and tying with a gold ribbon. The cupcakes themselves are my favorite Chocolate Cupcakes with delicious Vanilla Cream Cheese Frosting.